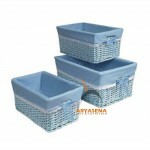 When we need to define box and basket, for sure the versatility and utility come first to mind. 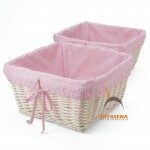 Anyone would strongly agree that we can put anything to our box and basket, be it laundry, toys, books, light snacks for picnic, and many other items. 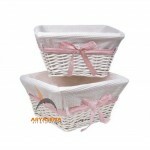 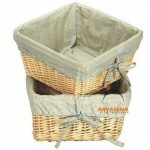 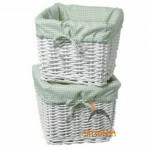 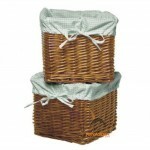 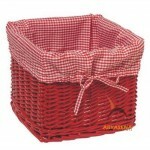 Also, the box and basket make it pretty as home decoration. 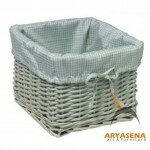 As one of our best handicraft collections, the box and basket boast an intricate craftsmanship resulting in individual appeals anyone may take pleasure in. 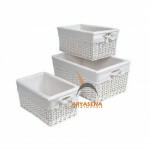 The others highlights belong to this Indonesia handicraft are its weightlessness and portability, assuring you to easily take them anywhere.